Creativity Shell to offer FREE S.T.E.A.M Sewing Class to a Humble ISD School! VOTE NOW: FREE S.T.E.A.M Sewing Class for a Humble ISD School! The Creativity Shell has partnered with Genghis Grill to offer a FREE S.T.E.A.M (Science, Technology, Engineering, Art and Math) sewing class to one Humble ISD school. The Creativity Shell is a nonprofit organization on a mission to use creative trades to educate and inspire the next generation of makers. The organization teaches sewing/textile arts classes to students in libraries, schools and shelters that rescue children from homelessness and human trafficking. All of their classes are designed to educate and inspire children by teaching them essential life and practical skills. 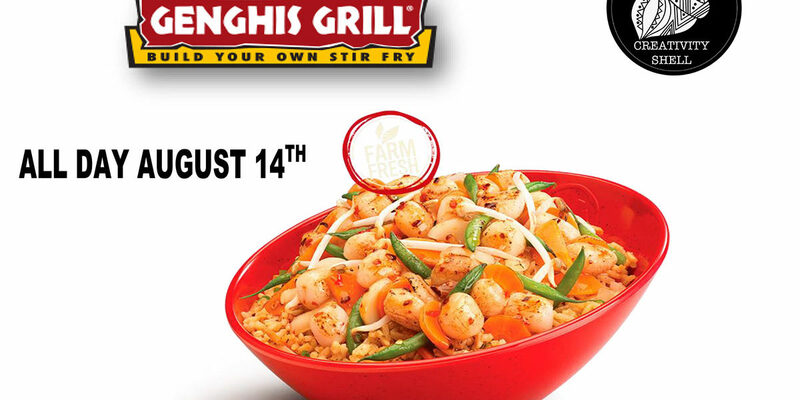 All patrons eating (or drinking) at Genghis Grill located at 9490 Farm to Market 1960 Bypass, Humble, TX 77338 on Tuesday, August 14th will receive a ticket they can use to vote for a Humble ISD school. Please place voting cards in the fabric voting box at the front of the restaurant. The school that has the most votes will receive a FREE STEAM sewing/textile arts class at the school. Students in the STEAM sewing class will learn to sew with electricity conductive threads and add LED lights to the item they make that will light up! This contest is open to ALL Humble ISD schools. Genghis Grill will donate a portion of the proceeds they make on August 14th to the Creativity Shell to pay for the costs of all materials and supplies for STEAM sewing programs. The winning school will arrange a date/time with the Creativity Shell to have one of their instructors come out to teach the class. Teachers from the Creativity Shell will also be at Genghis Grill from 5PM – 7PM on Tuesday, August 14thoffering a free sewing workshop for kids (and adults) at the restaurant!